The BJP at the head of the treasury proved to be far more nifty and agile than the Grand Old Party, with its grand old big brotherly ways. NEW DELHI: An election for the Rajya Sabha deputy chairperson’s post is a rare occurrence and the contest getting so much attention is even more of a rarity. A clear victory for the BJP in an upper house where it lacked majority made it stand out. Also, the method: it did so by winning not just allies but the fence-sitters onto its side. The regional parties proved to be the clincher. What nailed it is the fact that JD(U)’s Harivansh Narayan Singh was picked as the NDA candidate. The way the chessboard arranged itself thereafter held a lesson for the Congress, whose candidate B K Hariprasad lost — that its idea of mahagathbandhan against the BJP won’t be easy to achieve. The BJP wrested the first mover’s advantage by getting their candidate in place. That selection itself put paid to the opposition’s attempt to forge unity. 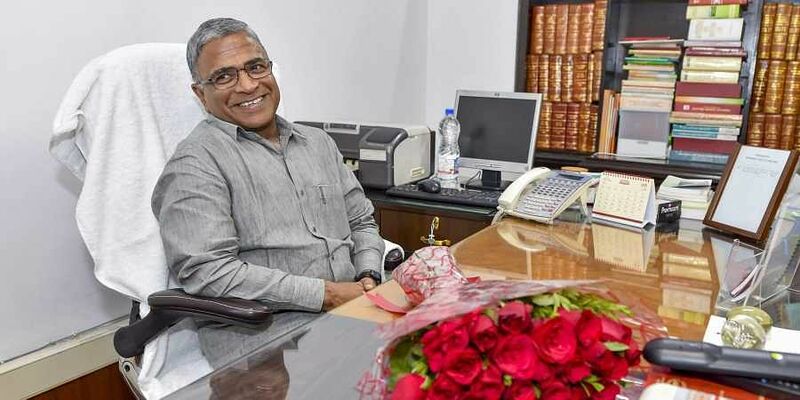 Prime Minister Narendra Modi allowed himself a slight pun on Hariprasad’s name, later expunged, and also lavished fulsome praise for the soft-spoken Harivansh. But what this election achieved for him and the treasury besides that was full of ironies. For a politician who has rarely ever lost an election, being worsted by the Bihar grand alliance had been the biggest glitch in his record. But in his typical never-say-die spirit, Modi first nulled that loss by getting JD(U) boss and Bihar Chief Minister Nitish Kumar back into the NDA fold. By propping up the candidate proposed by Nitish, the architect of the original mahagathbandhan, that too at a time when talk of another mahagathbandhan rising to defeat Modi in 2019 is swirling in the air, he made a strong point. So winning the RS deputy chair’s post has a deep ring about it—full of resonances for 2019. If it was yet another test run for Opposition unity, it was a failure. Obviously, Modi takes no election lightly, not even one won through a voice vote followed by a division. But what swung the election for the BJP? Not Nitish or the JD-U, but the support of another regional powerhouse, Naveen Patnaik’s BJD, which was clinched through a request call from none other than the PM. That proved to be the difference. Rahul Gandhi, who misses no opportunity to underline the need for a grand alliance with regional parties, never broached it with the Odisha CM. So did Arvind Kejriwal. The Delhi CM decided his Aam Admi Party would abstain, bringing down the Opposition’s vote count by three, indirectly helping NDA’s candidate. And pray why? Because, Nitish showed the courtesy of soliciting his support, the Congress or the Congress chief did not. Nor did the Congress ask West Bengal CM Mamata Banerjee to use her goodwill with either Naveenbabu or Kejriwal, or even Shiv Sena, to swing it for its candidate. Shah swallowed his ego, called up Uddhav Thackery and also reached out to the government’s trenchant critic, Sena MP Sanjay Raut. Even the Akalis, upset for not getting their candidate Naresh Gujral nominated to the post, were roped in to support Harivansh. In the end, it emerged that anti-Congressism runs much deeper than anti-BJPism among regional satraps. Their local political considerations determine their voting/alliance choices in Parliament, or on the national stage. It’s time Rahul Gandhi learnt the ropes of coalition-era realpolitik, and not leave everything to a Ghulam Nabi Azad or an Anand Sharma. It will not be a bad start to rejig his memory on how his mother Sonia Gandhi walked over, quite literally, to Sharad Pawar and Ram Vilas Paswan in 2004, to persuade them to back the Congress. Lastly, Rahul Gandhi must realise there’s no option but to create a stronger Congress, for which he needs to win a few elections—the allies and grand alliance will follow, As of now, Narendra Modi appears to be continuing on his winning wicket.